I love stir fry. They are a quick and easy dinner solution. 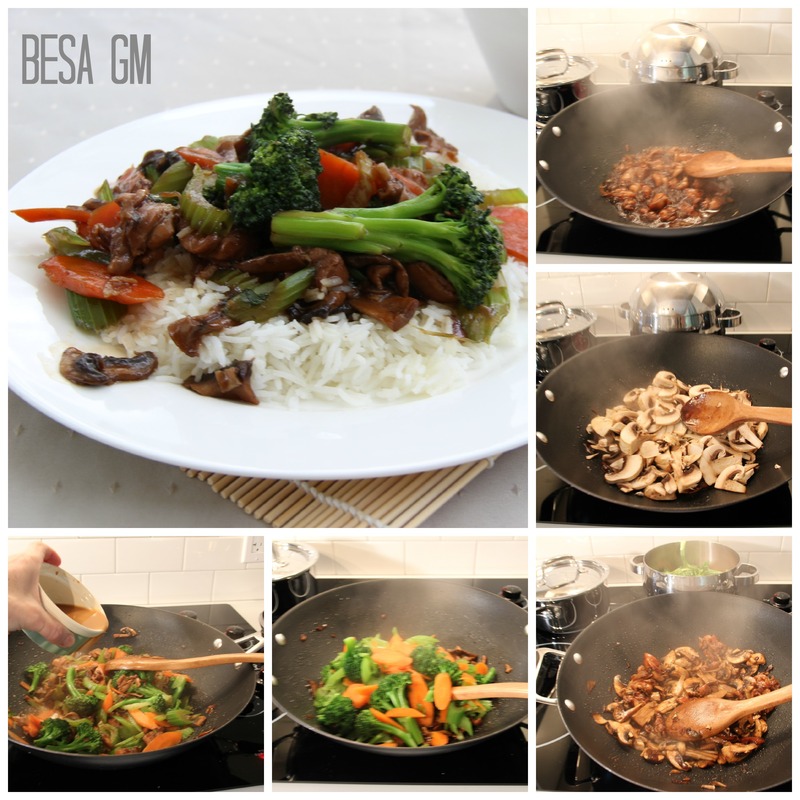 Simply cook up some rice or some noodles and you will have a family-pleasing meal in minutes. 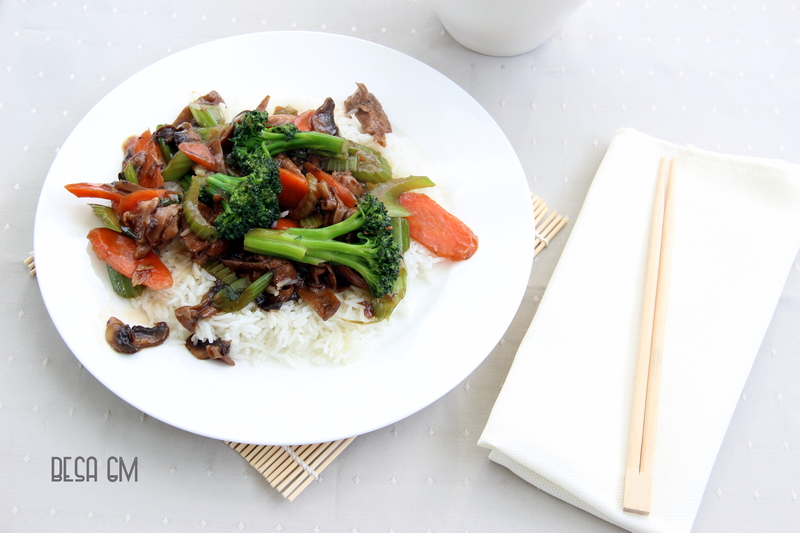 My favorite is chicken stir fry, and I make this stir fry using a very simple recipe taught to me by a Chinese lady about 15 years ago. 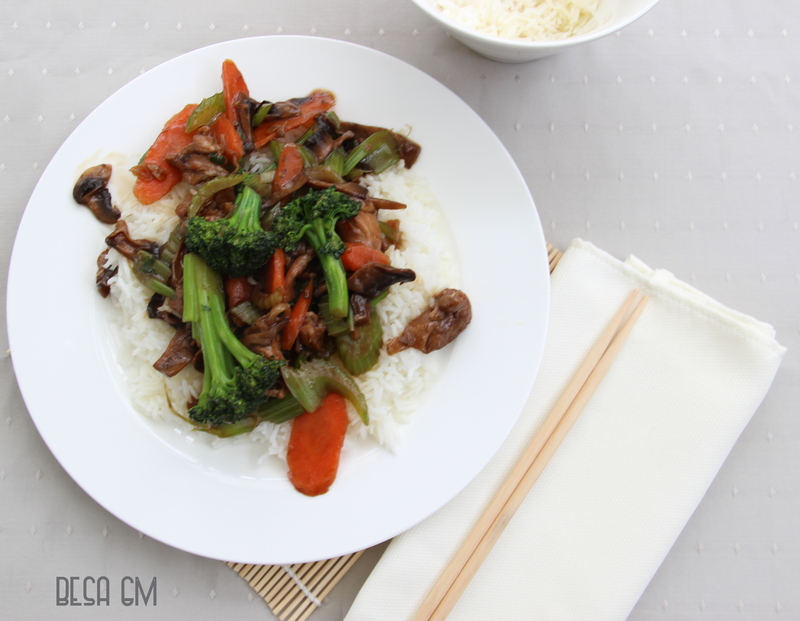 Since then I have tried a few of other stir fry recipes, but have come to a conclusion that this one is the easiest, tastiest and the simplest one. Mix together chicken strips, soya sauce, sugar and set aside. In a large pot bring water to a boil. 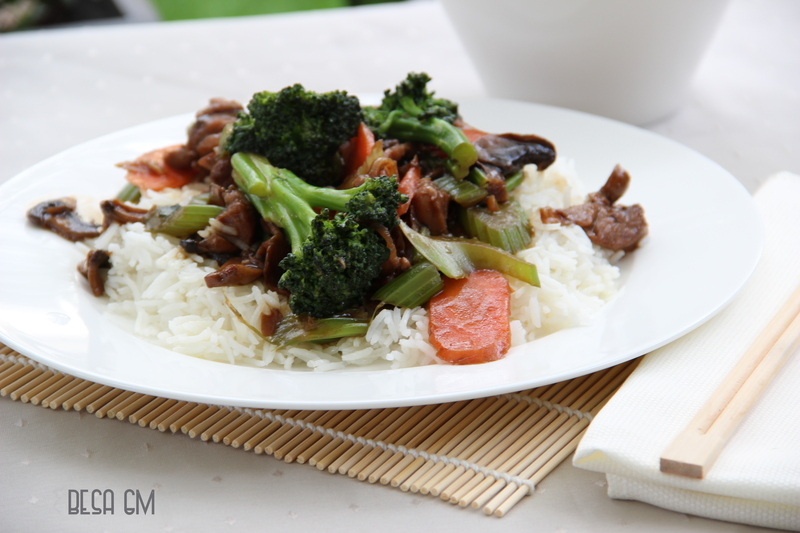 Add 1 teaspoon salt, broccoli florets, chopped celery, carrots and pepper, and cook about 3-5 minutes. Drain and set aside. Heat olive oil in a wok or a large skillet. Add garlic and cook until golden brown. Add the chicken mixture and cook for about 5-8 minutes. Add sliced mushrooms and cook about 2 minutes. Add cooked veggies, toss and cook about 30 seconds. Add the cornstarch mixture and toss together until the mixture thickens and all ingredients are evenly coated with the mixture. 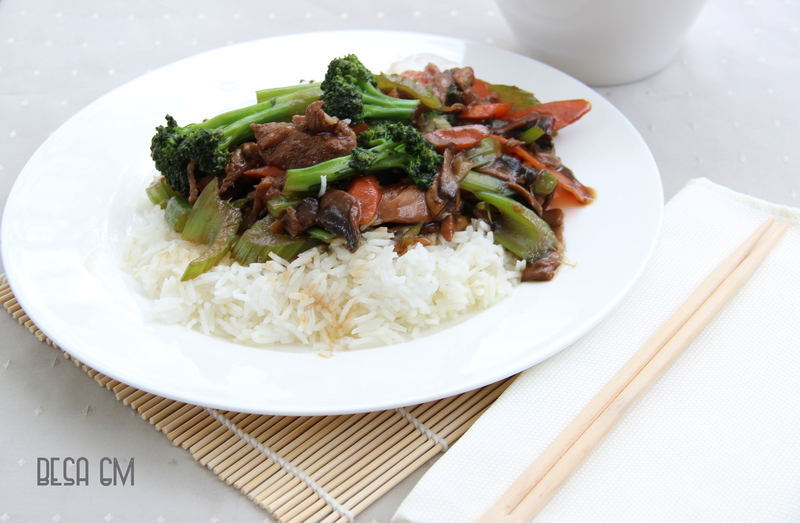 Serve over cooked basmati or jasmine rice, and enjoy. Delicious indeed, and quite simple and easy to make …thanks for taking time to comment.